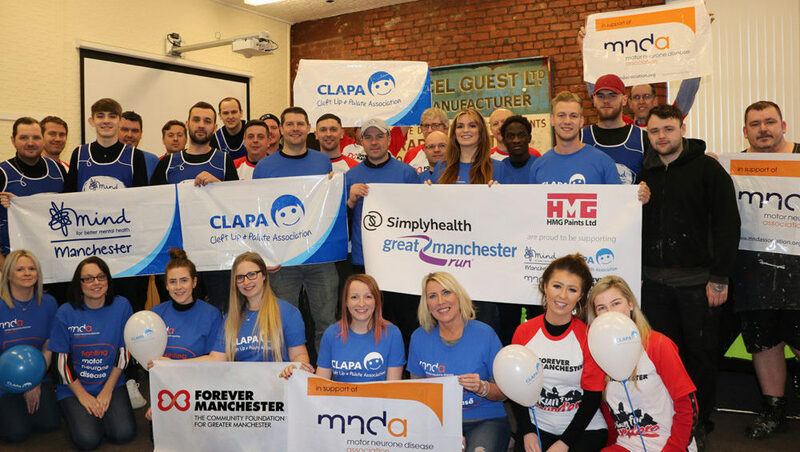 HMG Paints Ltd are swapping their laboratory coats for running vests to take on the Great Manchester 10K Run on 19th May 2019. 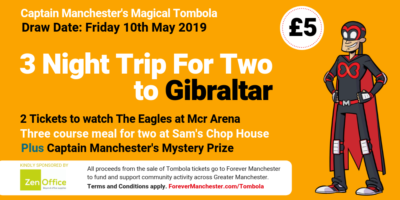 They are running for Forever Manchester, alongside three other charities, because we work with local communities to inspire and encourage projects that make our neighbourhoods happier, healthier and safer places to be. HMG Paints Ltd is a family owned business situated in Manchester. Now the UK’s largest independent Paint Manufacturer, HMG are proud to work alongside customers to create the very best individual service and tailored solutions for them. With a broad spectrum of knowledge and expertise HMG boast a portfolio including wet paint, powder coatings and aerosols, covering virtually every type of surface imaginable. This is all backed by an extensive 87 years’ experience in developing pioneering coatings for a myriad of industries including; industrial, specialist industrial, automotive, commercial vehicle, defence, aerospace, wood finish, decorative, arts & craft, marine and rail, we have a drive to set the standards for the industry not just meet them.